What a great day in South Dakota! 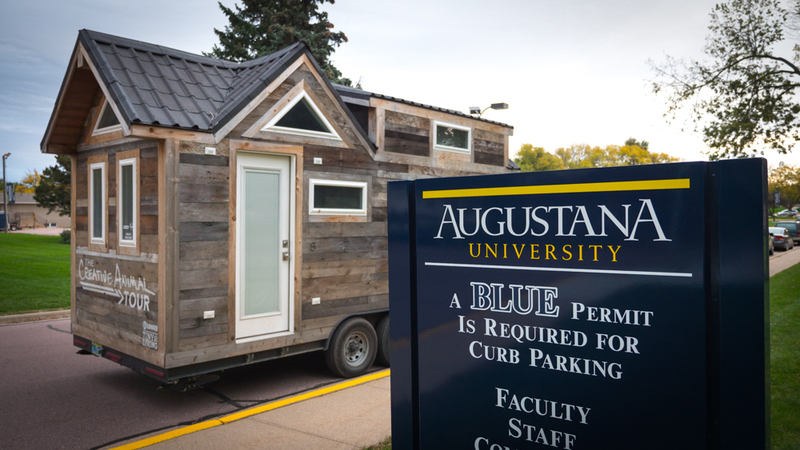 We plopped our home right in front of the student center and had a blast all day chatting with students. Though we didn’t get a huge amount of people through the house, we did have time to really speak to people; and sometimes that makes all the difference in the world. One of the great things about the tour so far is the fact that instead of just speaking at people (i.e… a speech, tour, or an on-stage presentation) we are instead having conversations with people. This has been one of the most eye opening parts of the tour for Stephanie and I, although we set out to teach, we have ended up learning a whole lot more than we ever thought we would. 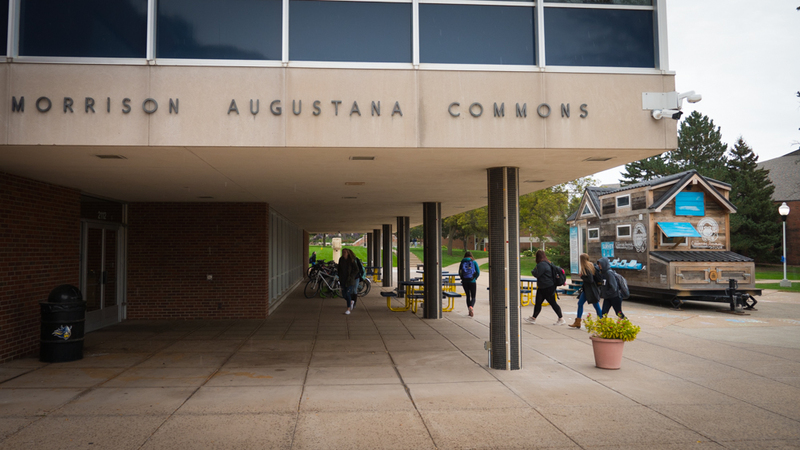 Thank you so much to the staff and students of Augustana for hosting us!